if you liked … you’ll be delighted by the new …. Still Alice by Lisa Genova must be one of my most frequently recommended books in recent years; its poignancy has remained with me long after the last pages were read. While Still Alice followed Alzheimer’s from the perspective of the patient, Left Neglected, (released on January 4th, 2011) features the sufferer of a traumatic brain injury. (left neglect or hemi-spatial neglect refers to a lack of awareness of the left side of one’s body as a result of an injury to the right side of the brain) Not light stuff but as a Harvard Neuroscientist the author is more than prepared to shine some fascinating light on the world of the brain. She wrote that her first book wasn’t just about the illness but also “… about identity, about living a life that matters, about family and what a crisis does to relationships.” In telling a story of the recovery of a Type A over-achieving working mother after a life-altering accident, Left Neglected promises to do the same. 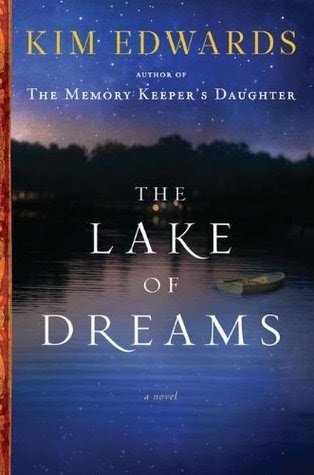 I read The Memory Keeper’s Daughter while snuggled up in a ski cabin in a snowstorm which was suitable considering the opening scenes of the story take place in a wild snowstorm. Now I’m off to find a cabin by a lake as it appears a lake plays a pivotal role in Kim Edwards’ latest tale. 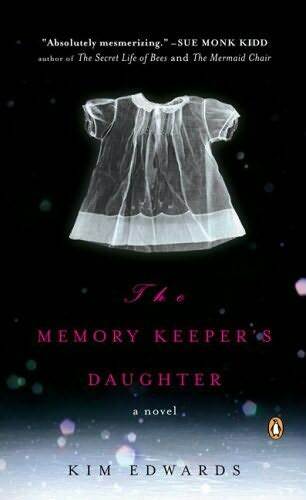 The Memory Keeper’s Daughter explored controversial and ethical decisions and their impact on a family in an absolutely enthralling way. A father decides to conceal the birth of his child with Down’s Syndrome and is thereafter haunted by his actions and the related actions of others.The Lake of Dreams (released on January 4th, 2011) also examines family and secrets and is apparently just as successful in creating memorable characters and evocative imagery. A young woman returns home, obsessed by her father’s earlier death and finds herself engaged in conflict and intrigue with her remaining family. Apparently there are secret letters and artefacts revealing a mysterious family past. Do tell. I haven’t encountered a reader yet who wasn’t captivated by Loving Frank by Nancy Horan. In Loving Frank we followed a fictional account of the relationship between Frank Lloyd Wright and Mamah Borthwick Cheney. A fascinating story made all the more interesting by the times in which it took place. In the new The Paris Wife by Paula McLain (to be released February 22,2011) we are drawn into the relationship between real life characters Ernest Hemingway and his first wife Hadley Richardson. The story is written from the fictional perspective of Hadley during their time together, based mostly in Paris, during the 1920’s. According to Goodreads: “The city and its inhabitants provide a vivid backdrop to this engrossing and wrenching story of love and betrayal that is made all the more poignant knowing that, in the end, Hemingway would write of his first wife, “I wish I had died before I loved anyone but her.” Insert deep sigh here. Another novel will also draw us back in history in an exciting way. 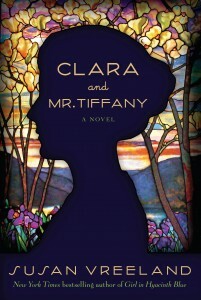 Clara and Mr. Tiffany (to be released on January 11, 2011) is written by Susan Vreeland, known for Girl in Hyacinth Blue and Luncheon of the Boating Party, both successful fictional stories based in the real world of art of yore. “Clara” in the new title refers to one Clara Driscoll, an artist and designer for the famous Tiffany Studios in the late 19th century who until recently was unrecognized publicly for among other things, her creation of the Tiffany lamp and its iconic designs. Knowledge of her influence surfaced only with the discovery of three collections of revealing letters in 2005. Susan Vreeland was inspired and recounts her first introduction to Clara: “Here was the lively, sometimes rhapsodic voice of a woman who bicycled all around Manhattan and beyond, wore a riding skirt daringly shorter than street length, adored opera, followed the politics of the city, and threw herself into the crush of Manhattan life–the poverty of crowded immigrants in the Lower East Side as well as the Gilded Age uptown.” With a character like that to follow this is bound to be fun! Vreeland has proven herself with her previous books to be a solid researcher and a gifted fiction writer so be prepared to learn a great deal and enjoy the process immensely. Don’t mind me while I mull over my preference for reading paperbacks – these are all hardcovers and I’m not sure I can wait! Great blog entry! 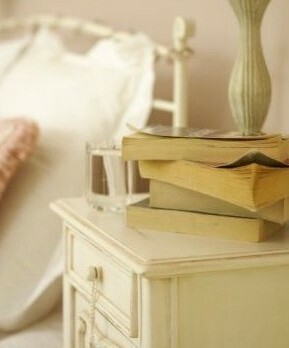 I can hardly wait to read some of these books, especially the one about Ernest Hemingway. I love books I can learn from and I learned a lot about Frank Lloyd Wright from “Loving Frank”. I always love to read your updates! 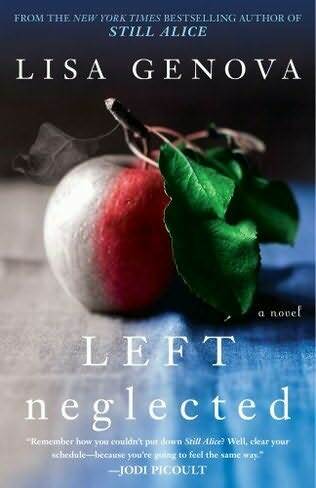 So excited to delve into Left Neglected. 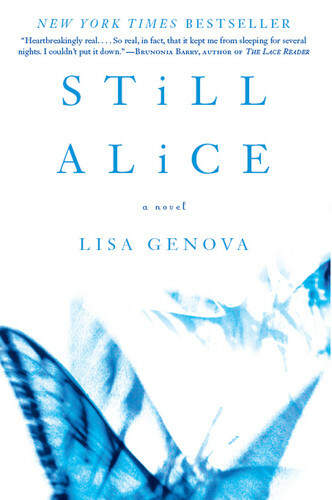 Lisa Genova did such a remarkable job with Still Alice…a tough read since my dad is suffering with a related disease- dementia with lewy bodies but I’m sure that Left Neglected will prove to be equally fascinating. Two other books I’ve just finished- Where Children Run & the sequel When Memories Remain. The first one is the amazing true story of David & Dennis Pischke, two twins growing up in rural Manitoba exposed to incredible abuse & suffering and how they pull through to lead productive, fulfilling lives. These may need to be special ordered…published by Nordheim Books.